Room size is 4 x 4 m and just outside there is shady veranda with 2 chairs for reading or simply relaxing overlooking the open desert before the pyramids. 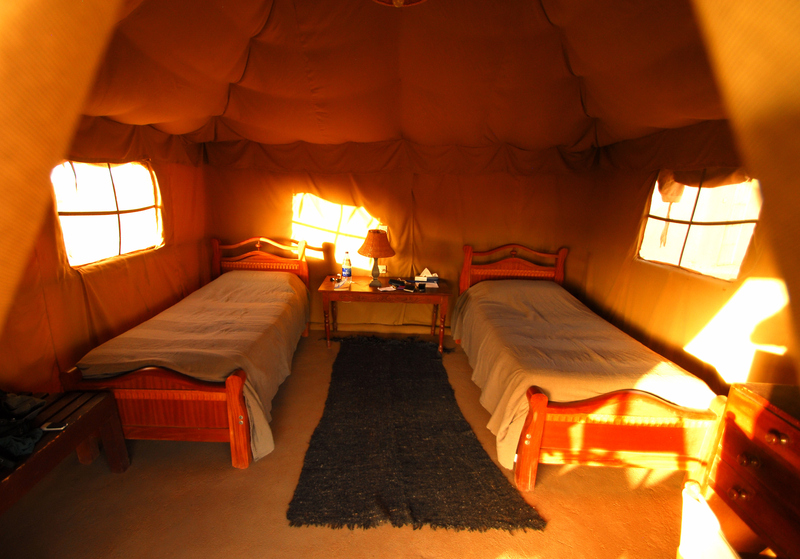 Every tent has its own private restroom and shower which is located in a separate hut at the back of the tent. 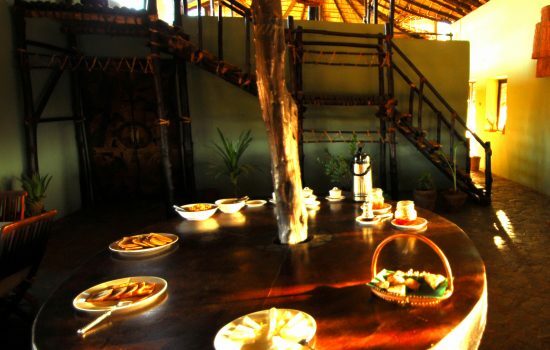 There is an indoor restaurant with a large paved area around to be able to eat outside in the pleasant spring evenings. 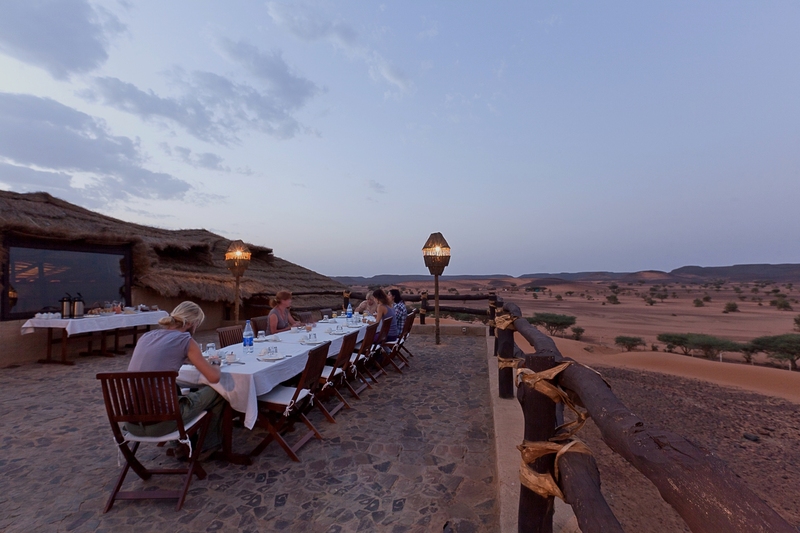 A veranda on the top of the restaurant will allow guest to enjoy the sunset over the pyramids or to simply relax talking with the other guests of the camp before or after dinner. 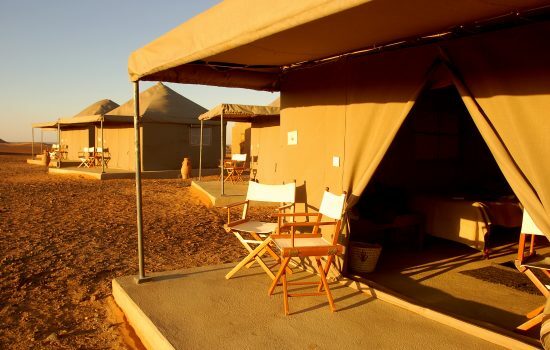 The camp has a power generator that is working everyday from sunset until 10.30 – 11 pm. 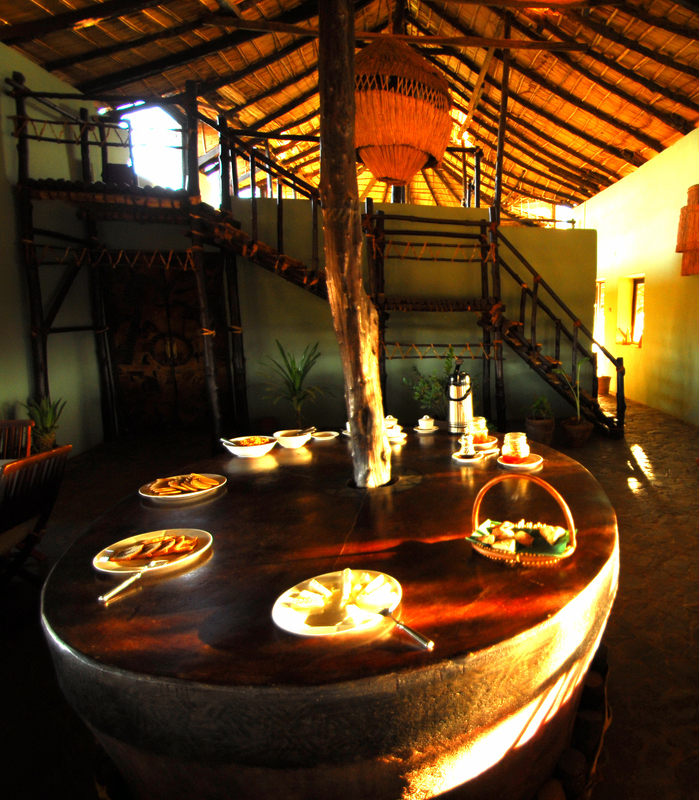 After that we ensure peace and quiteness to the guests. 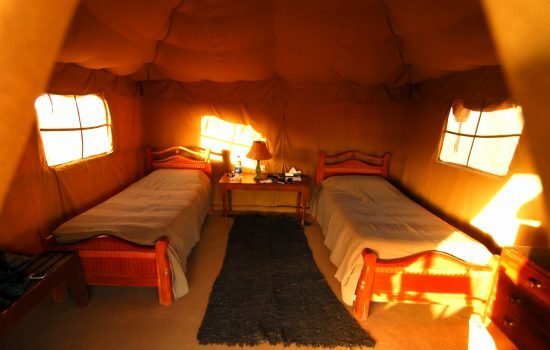 Therefore we recommend each guest to bring alang an electric torch or headlamps. 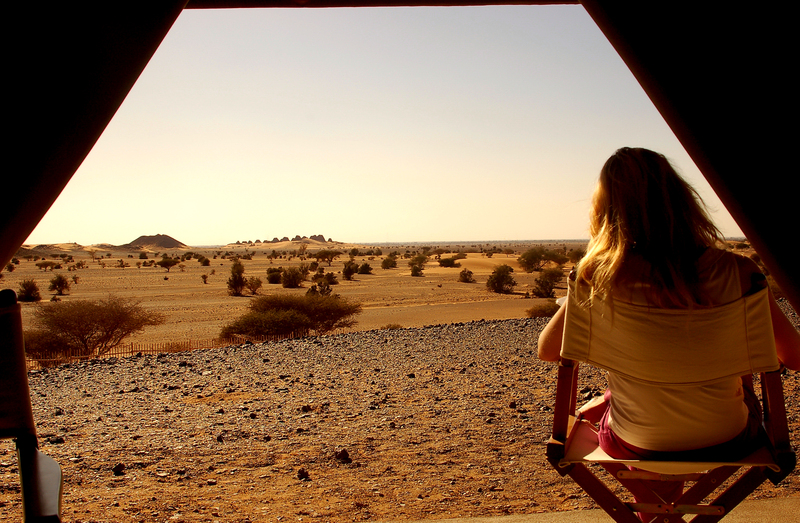 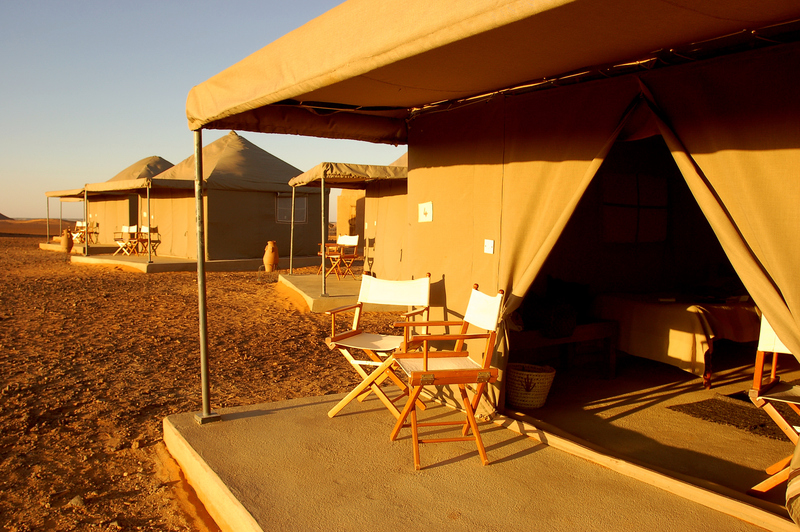 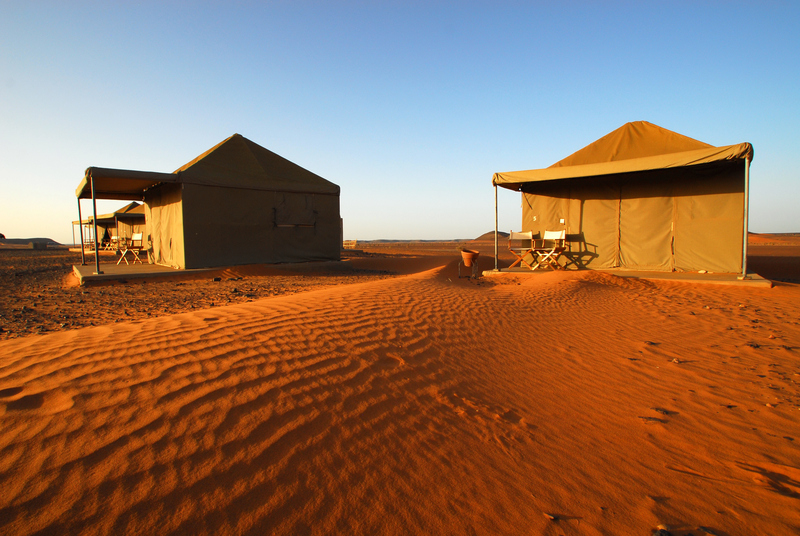 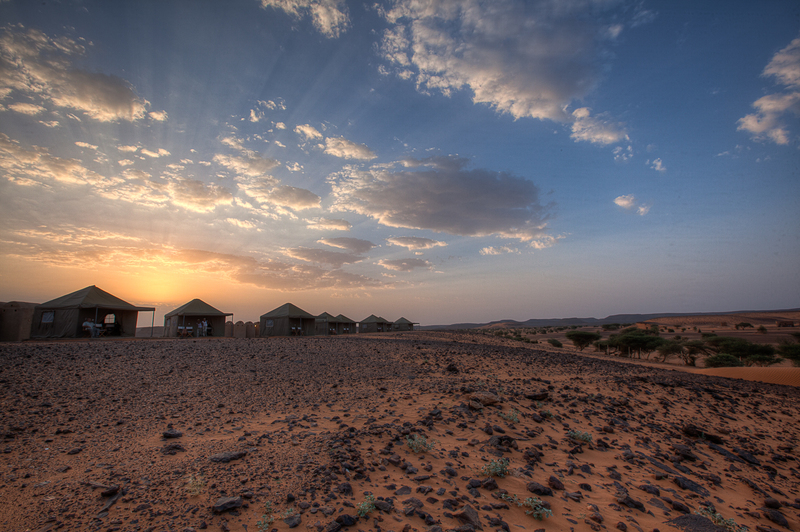 Meroe Camp is open from October till the end of April. 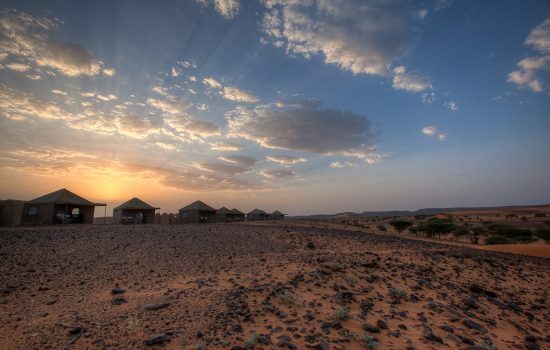 With this permanent facility, this dry region of extraordinary archaeological interest and beautiful landscapes become accessible even to those reluctant to sacrifice their comfort.